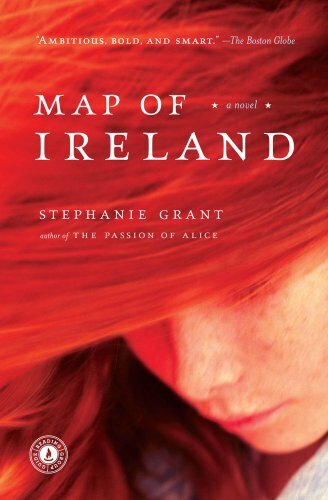 Set during the desegregation of the Boston public schools in 1974, Map of Ireland is a funny and tender coming-of-age story and a brave and ambitious depiction of race relations in America. This stunning novel takes on race and sexuality with beauty, grace, and humanity. When Ann Ahern, a 16-year-old born into a tight-knit Irish-American community, begins her junior year of high school South Boston is in a tumult - Catholic mothers are kneeling in the streets blockading buses of black children from the public schools and teenagers are raising havoc. Ann, an outsider in her own world, is infatuated with her French teacher, Mademoiselle Eugenie, a woman of African descent. Spurred by her adoration for Eugenie, Ann embarks on a journey that leads her beyond South Boston, through the fringes of the Black Power movement, into love and ultimately to the truth about herself. Stephanie Grant's searing prose, powerful storytelling, and richly drawn characters bring this turbulent moment in American history into perfect focus.